While President Trump and his allies have been pushing a narrative that a large number of migrants in the Central American caravan are criminals, fact is, there is no evidence to back that claim up. Surely there are some criminals in the caravan, just like there are within any large population of people, but the President does not know who the are, how many there are, or if they are or are not dangerous. 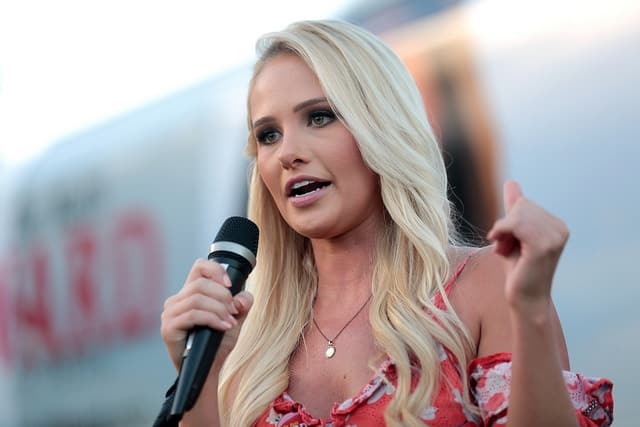 Earlier this week, Tomi Lahren of Fox Nation, took to Twitter with more of her anti-immigration, ‘migrant invasion’ talk, by pointing out that Border Patrol had caught a member of the MS-13 gang who admitted he was in the caravan. She was quickly met by criticism, as well as some support, but one response from a comedian named Bill Jubran certainly stood out. Hey stupid, thanks for accidentally admitting our vetting process works. “Hey stupid, thanks for accidentally admitting our vetting process works,” Jubran tweeted. Yes, Border Patrol did find an apparent MS-13 gang member who allegedly travelled within the Caravan from Central America, but that shouldn’t tarnish the validity of the other thousands of people, including women and children, who may be seeking asylum legitimately. More importantly, however, like Jubran says, it shows that the U.S. vetting process is actually working.